Despite their modern association with tax-dodging and precarious labour, coffee houses have for centuries been associated with free discussion and the exchange of ideas. We wanted to set up a café that would make for a welcoming environment in which people felt able to discuss research openly. Cafés also have a degree of universality, meaning that in future we could apply the concept across different sites and diverse audiences. How does the PPI Café work? 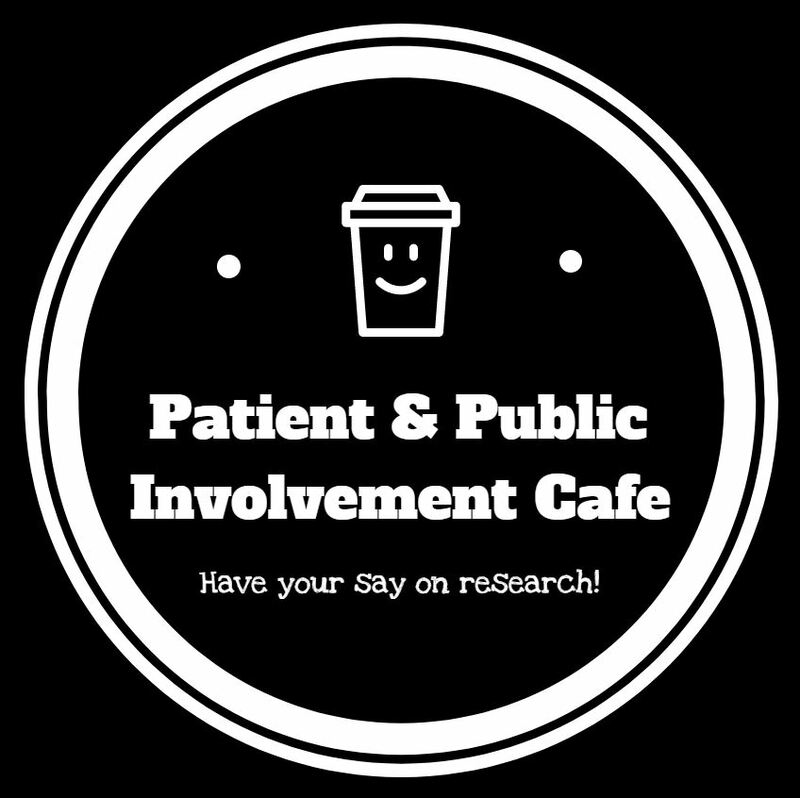 The café “baristas” – both researchers and public partners – gave the public a brief overview of PPI before inviting them to join a table in the café. A facilitator would introduce the public to the background and aims of a real-life Imperial research project. The public were then posed questions the researcher wanted feedback on and invited to make suggestions on how to improve the study. In conversation with researchers, our café visitors filled up our coffee jars full of comments and suggestions. Public input was welcomed across the research cycle, from study design to implementing. Our research teams are now analysing the comments and looking at how these can be incorporated into their studies. Visitors – Visitors to the café seemed to both enjoy it and learn something. 91% of respondents enjoyed the café ‘a great deal’ or ‘a lot’; 84% of respondents learnt ‘a great deal’ or ‘a lot’. Insights – We are still collating the public ideas and insights, but the format seemed to allow for useful insights from the public for our research. We are now looking at how we can improve the process to optimise insights. Informal atmosphere – The “vibe” of the café allowed visitors to talk openly and freely. It was a far more relaxed environment than a focus group or workshop so may be more appealing to audiences unfamiliar with PPI. Lay members – The presence of our lay members was essential for creating an atmosphere of informality and making PPI feel accessible and inclusive. It was important to practice what we preach, with the café a true partnership between researchers and the public. Uniting PPI across Imperial – It brought together research teams from across Imperial who are doing PPI – we have lots to learn from each other! Communication – We could be clearer in our definitions both of (a) what PPI is as people approach the café, perhaps a sign with greater clarity such as “your voice in research” and (b) introducing the research projects. Festival practicalities – Doing it in an actual coffee shop in future should give us more space and prove a less chaotic environment! Researcher involvement – It is crucial to have the researchers themselves attending and facilitating, rather than outsourcing their PPI activities to PPI practitioners. This would also help with communicating research projects. Planning – It was the first time some of these research centres had worked together, so a clearer division of labour would have helped us, utilising the cloud to make sharing information simpler. Capturing insights – A scribe to ensure that we are capturing all insights from the public, allowing the facilitators more time to focus on stimulating discussion. Decoration – Actual coffee (!) and more research-focused paraphernalia for the shelves. 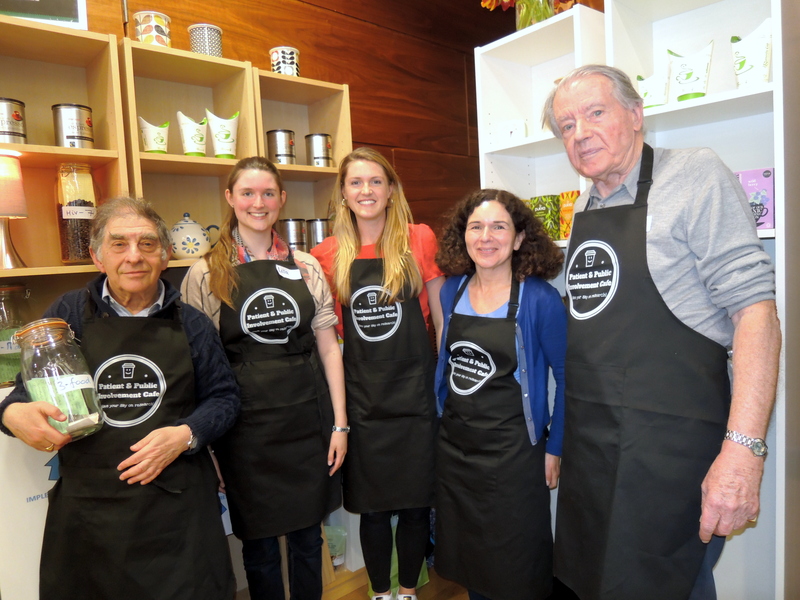 How do you brew up a PPI café in 5 steps? Find some researchers who want to involve the public in their research. Ask your friends, family and colleagues for all the coffee-related paraphernalia they can find. Empty coffee jars, bags of coffee beans, and recyclable cups are all essential. This is the crucial step – work out how the public can contribute to your study. What do you want them to help you with? It could be priority-setting, study-design, recruitment, or dissemination. It could be something else, just make sure you define this clearly at the outset. Set up at a suitable venue – a science festival, a community venue, or even your local independent coffee retailer. Talk to the public about your research. Ask them for their ideas and insights, capturing what they say by writing it down and putting them in coffee jars. Keep researchers and the public well-caffeinated. What is the future of the café? We hope to take the café on tour to locations across London, fuelling caffeinated discussions about research. Another idea is to turn the café into a “backpack” resource that researchers can pick up and take out to coffee shops. Get in touch with us at ppi@imperial.ac.uk if you would like to talk to us more about the PPI Café! The PPI Cafe was run by Imperial Clinical Trials Unit (ICTU), NIHR/Wellcome Trust Imperial Clinical Research Facility (CRF), NIHR Imperial Patient Safety Translational Research Centre (PSTRC), NIHR London IVD Co-operative at Imperial College London, and NIHR Imperial BRC Patient Experience Research Centre (PERC).